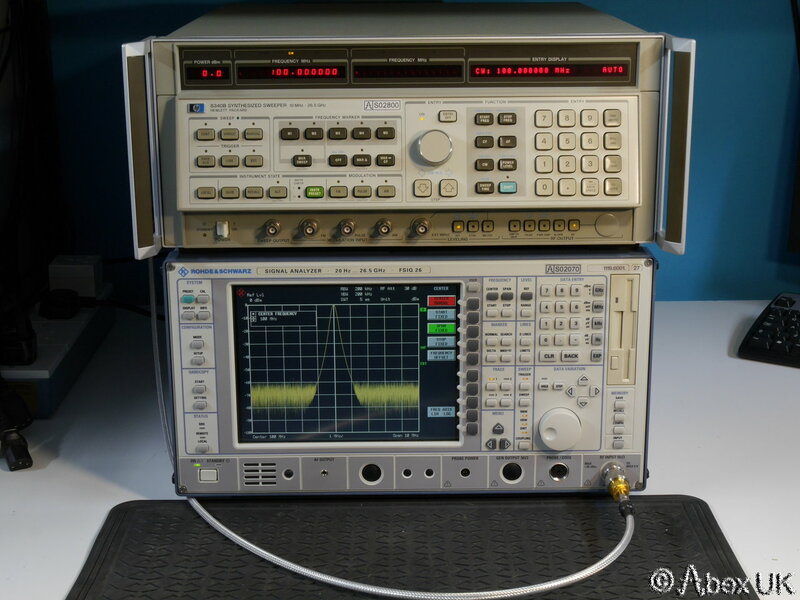 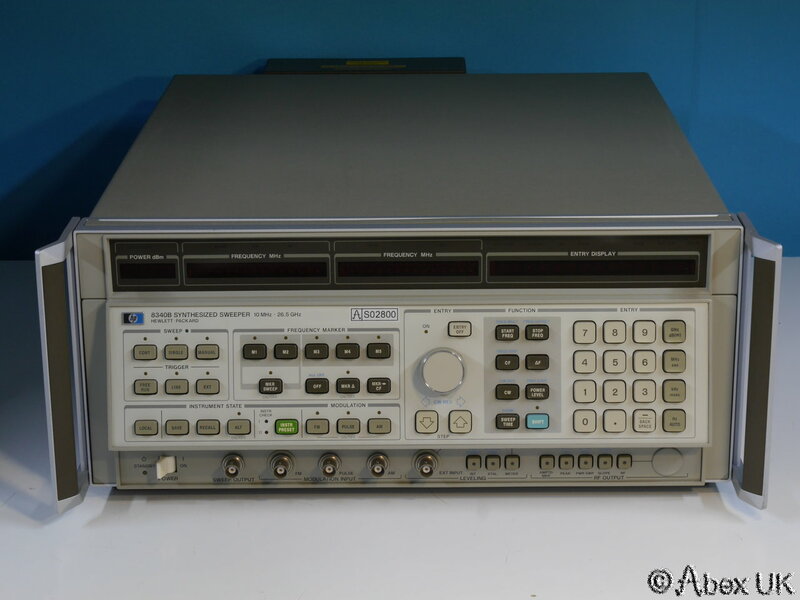 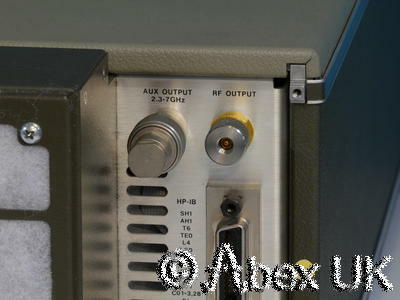 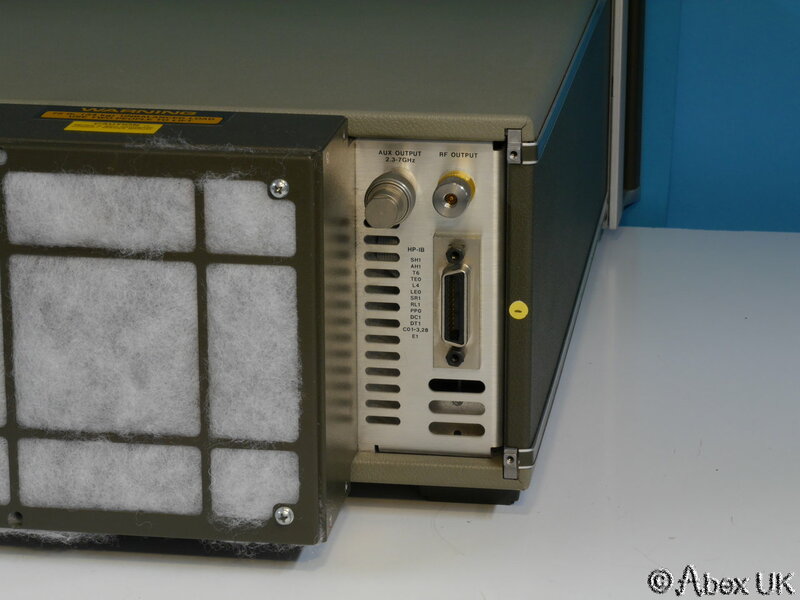 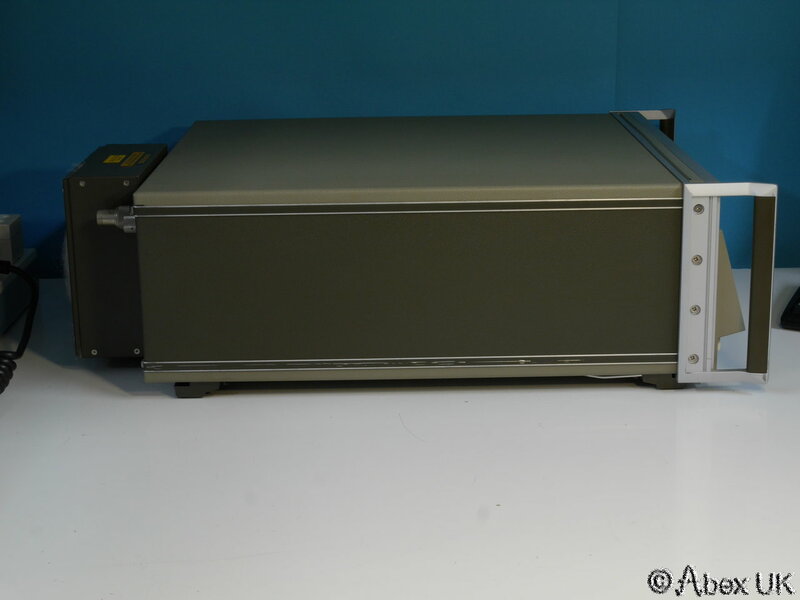 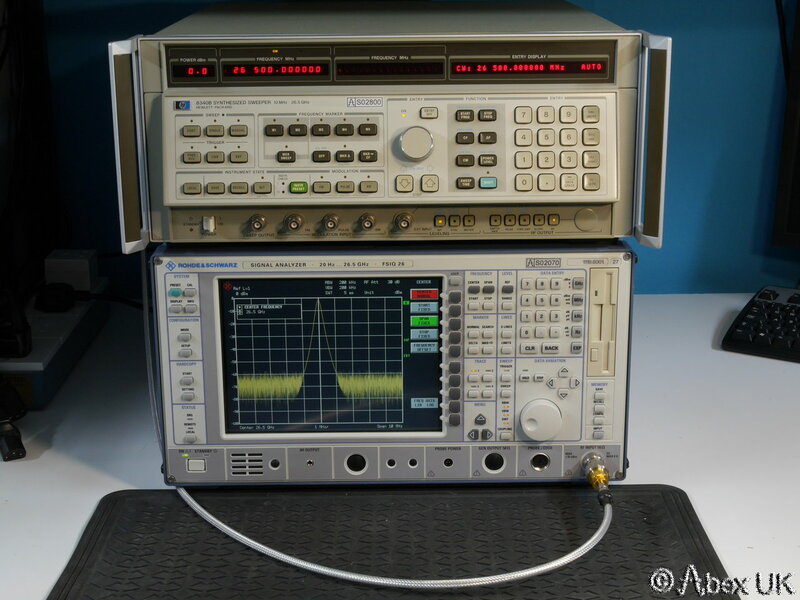 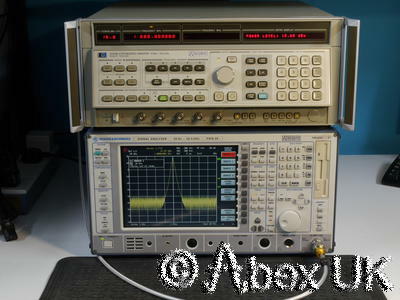 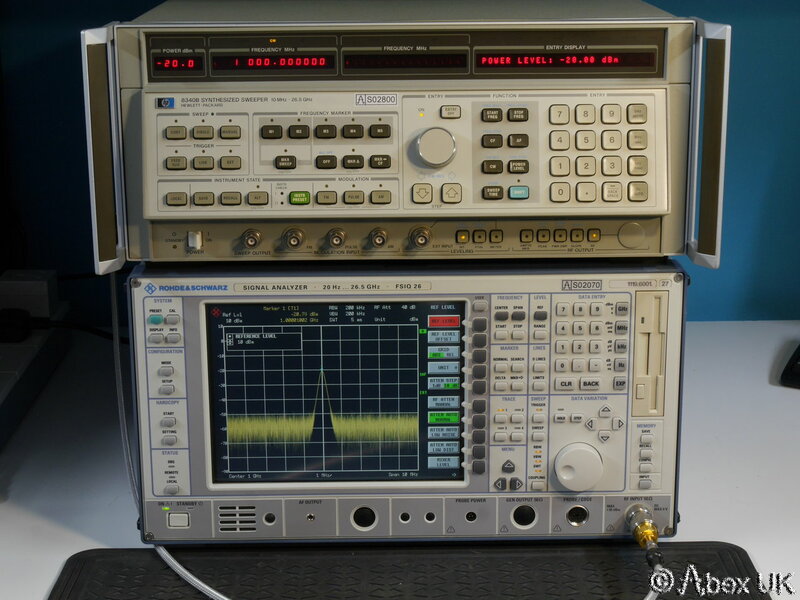 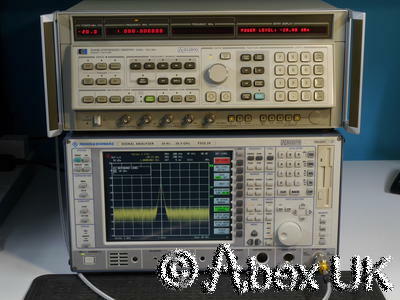 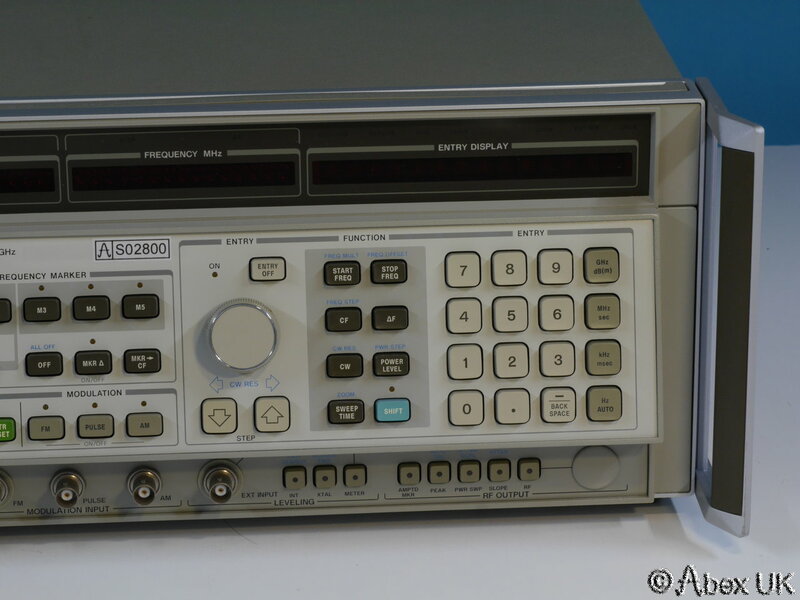 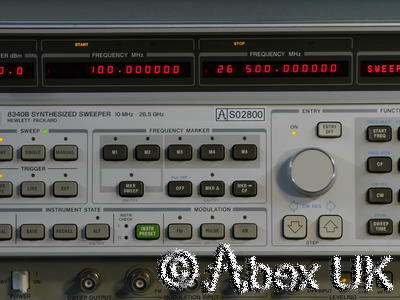 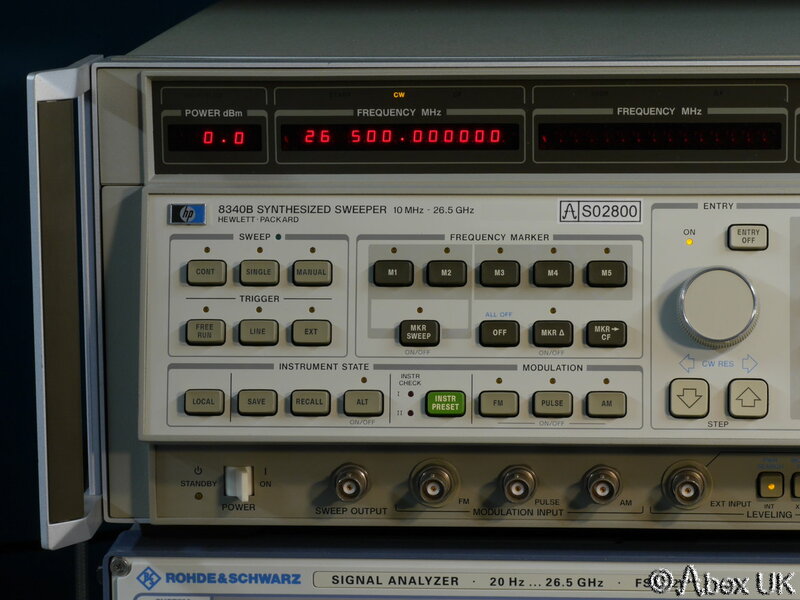 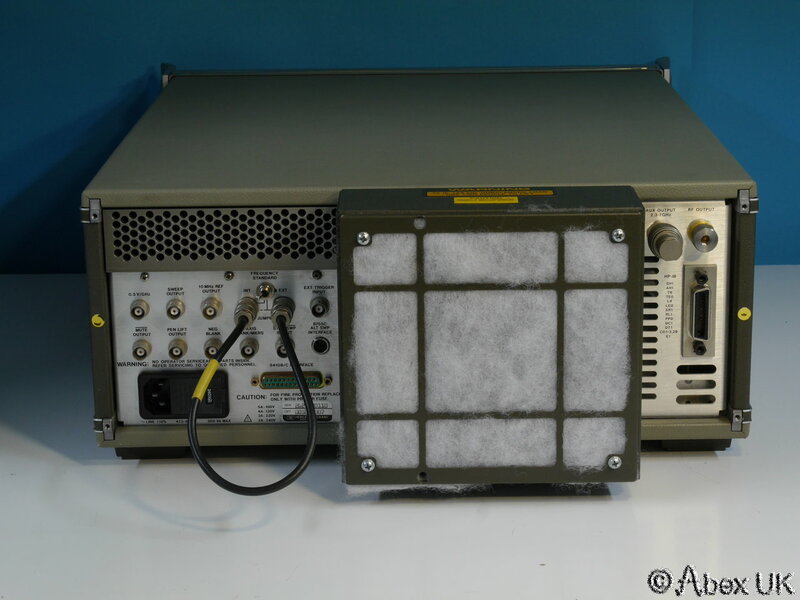 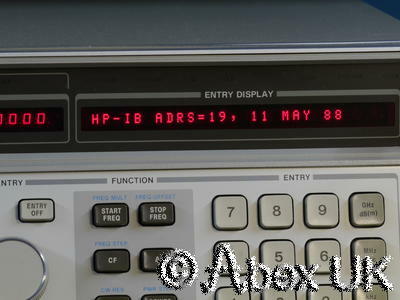 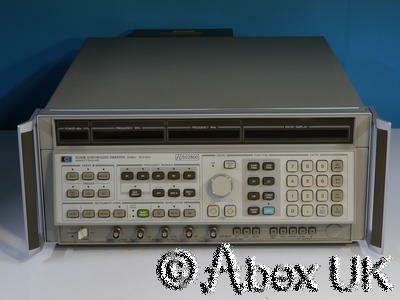 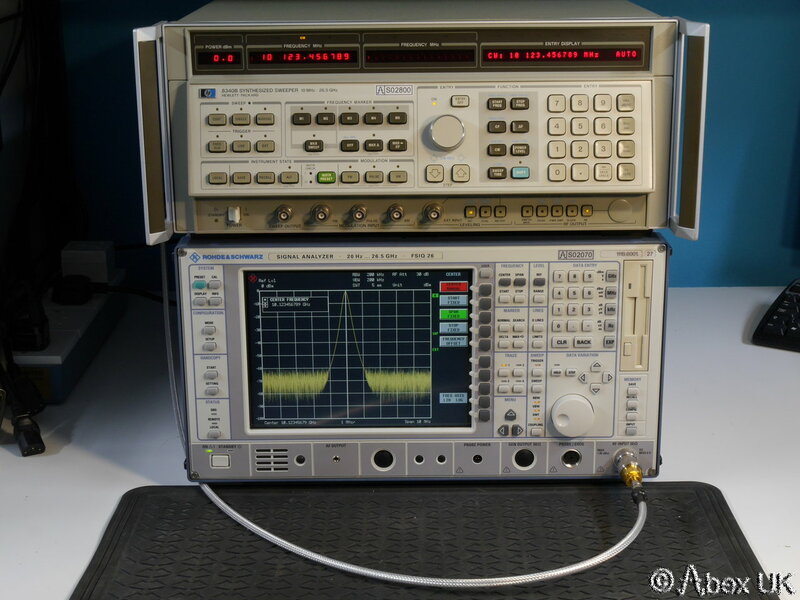 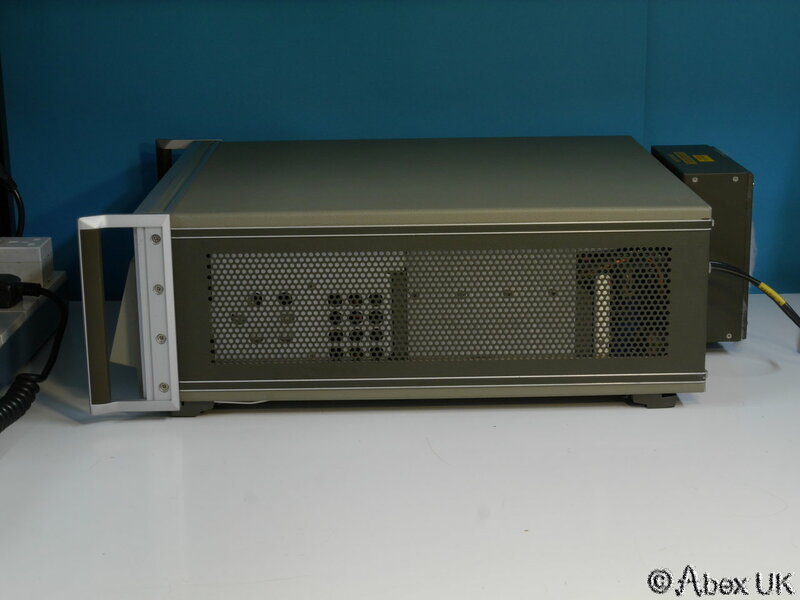 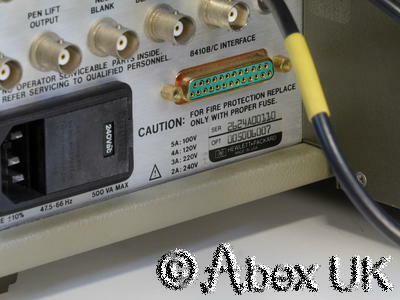 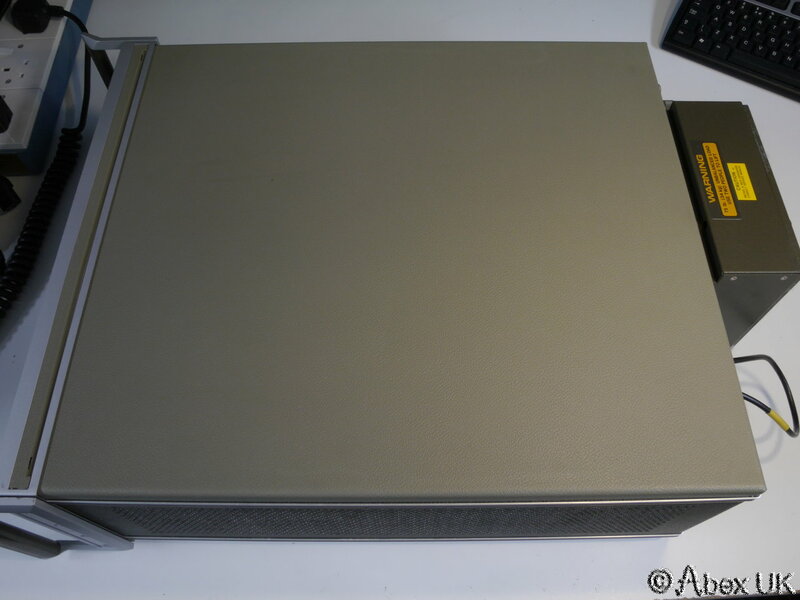 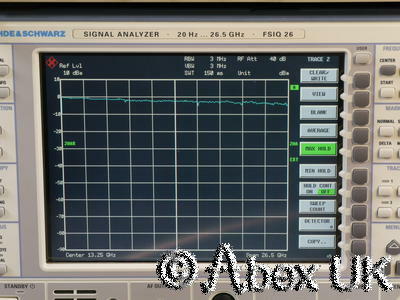 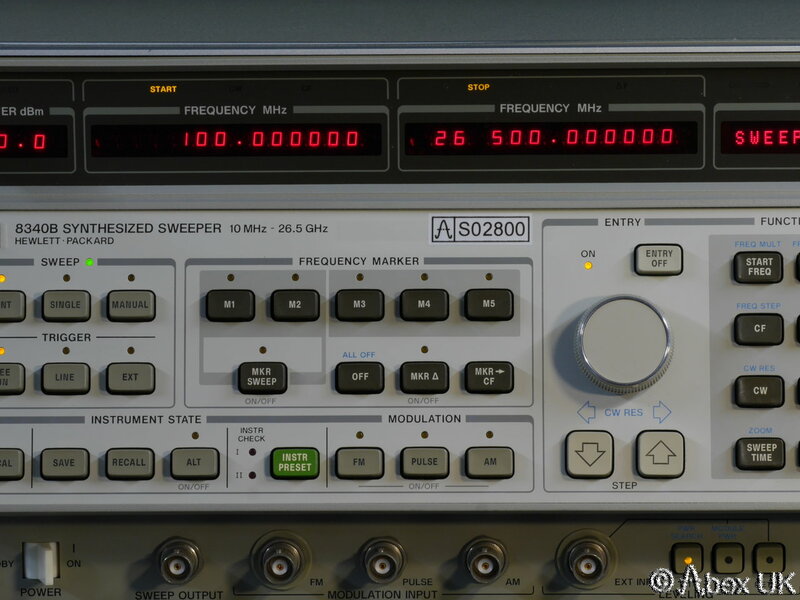 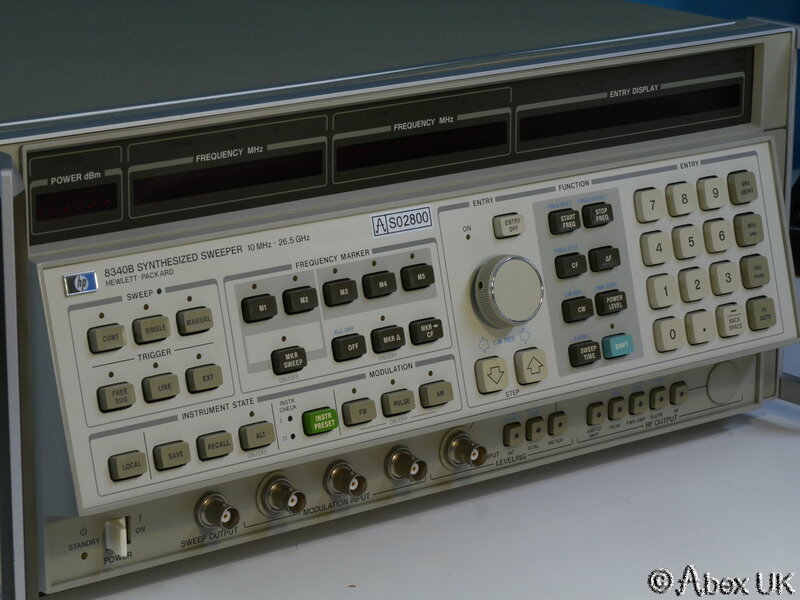 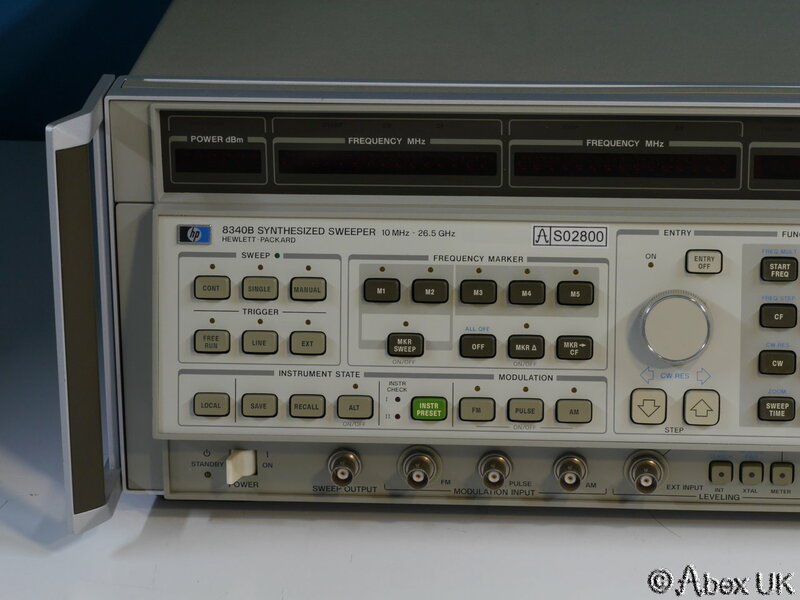 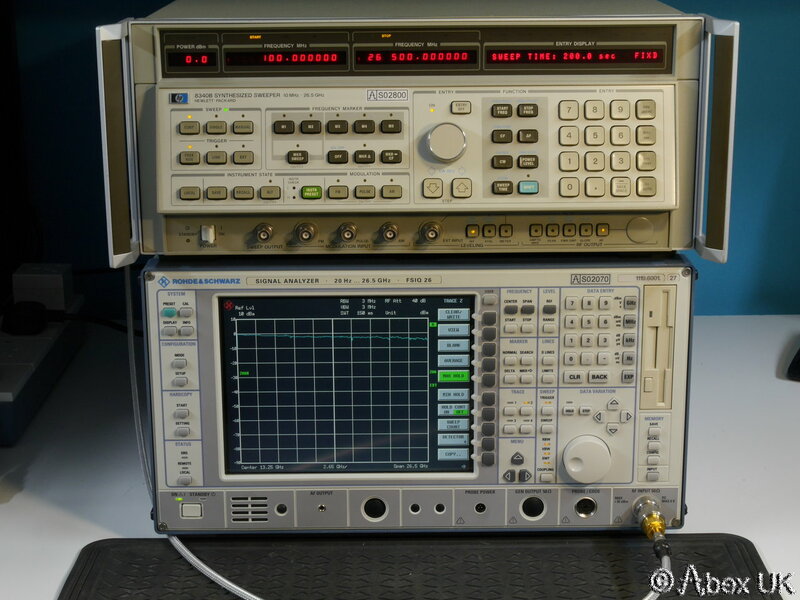 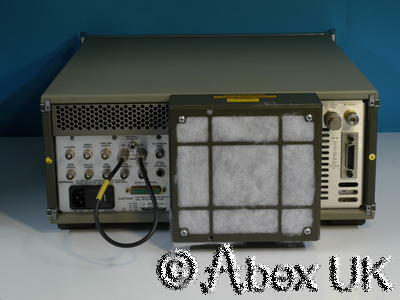 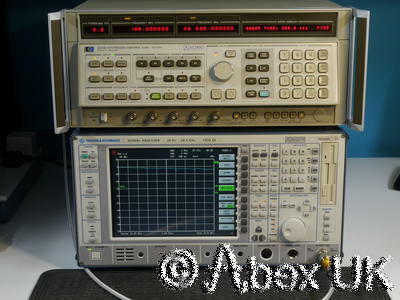 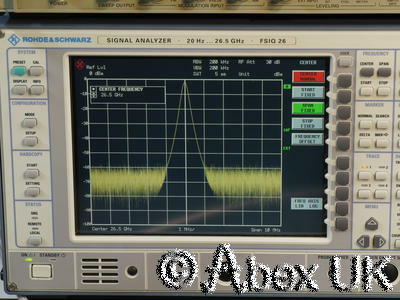 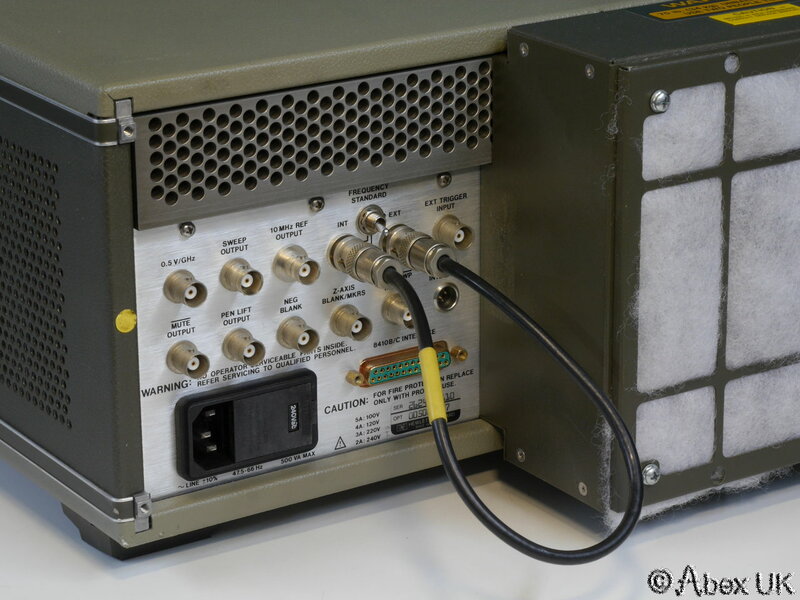 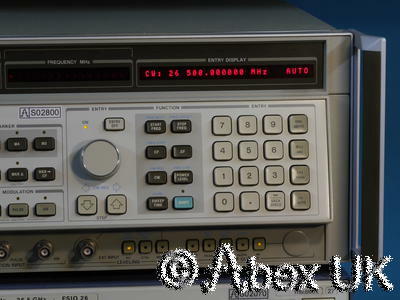 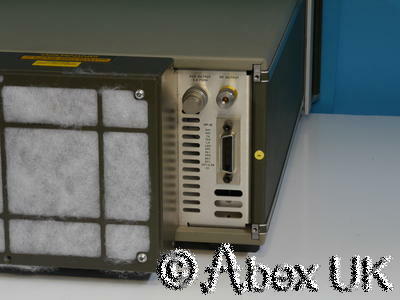 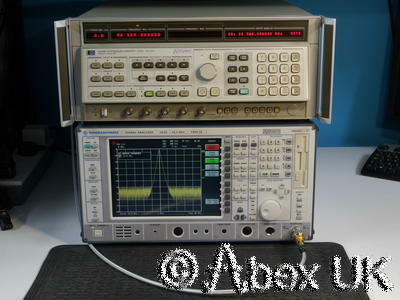 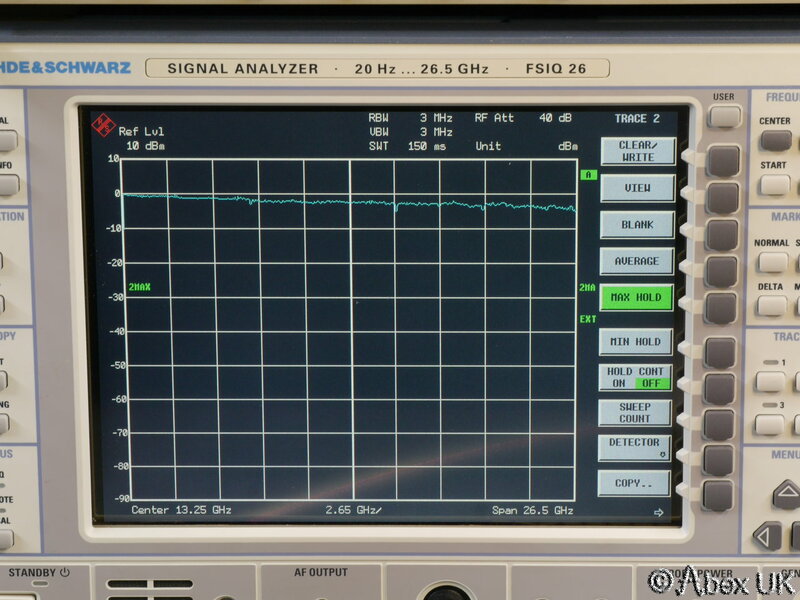 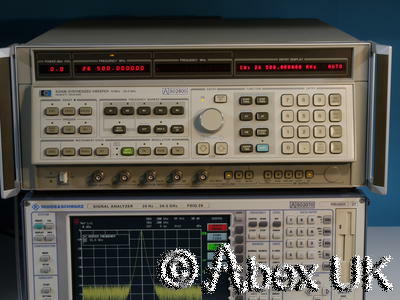 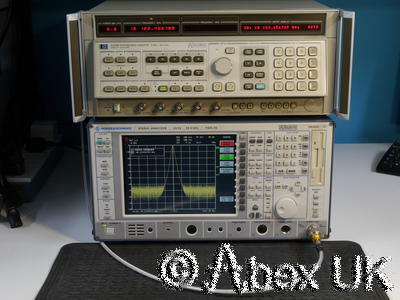 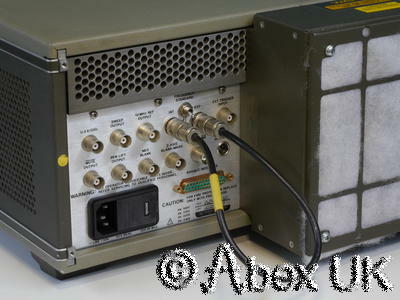 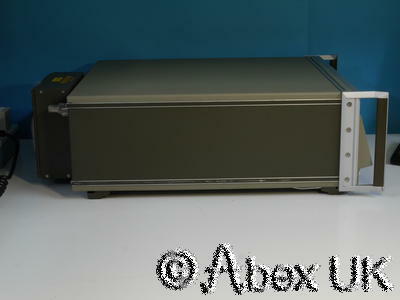 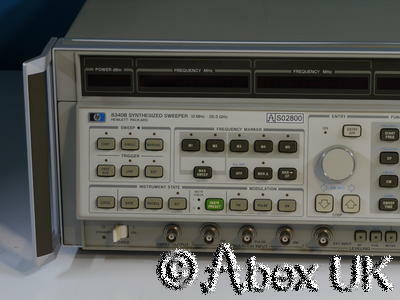 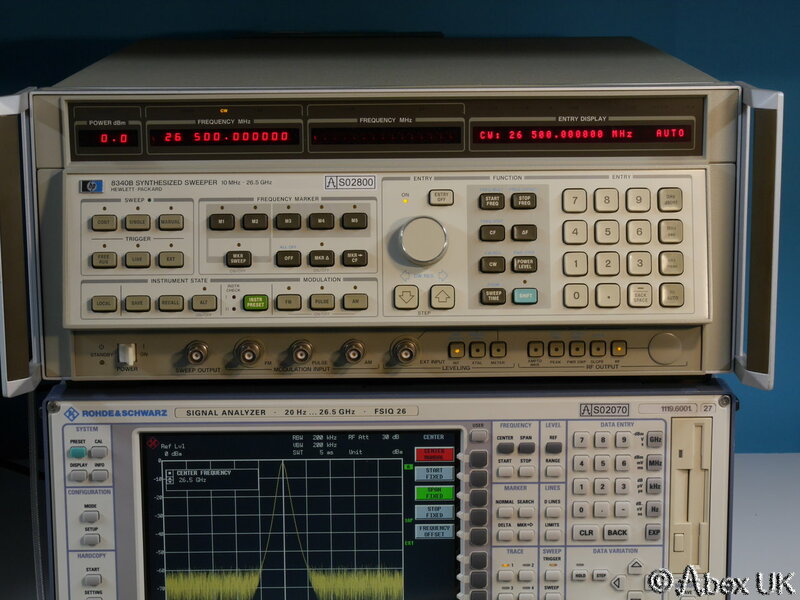 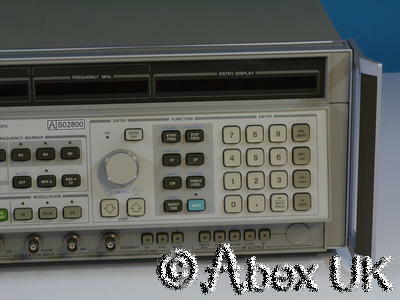 The HP (Agilent) 8340B is a 10MHz to 26.5GHz synthesised signal/sweep generator suitable for a wide variety of general laboratory applications and also as the signal source for network analyser systems, e.g. 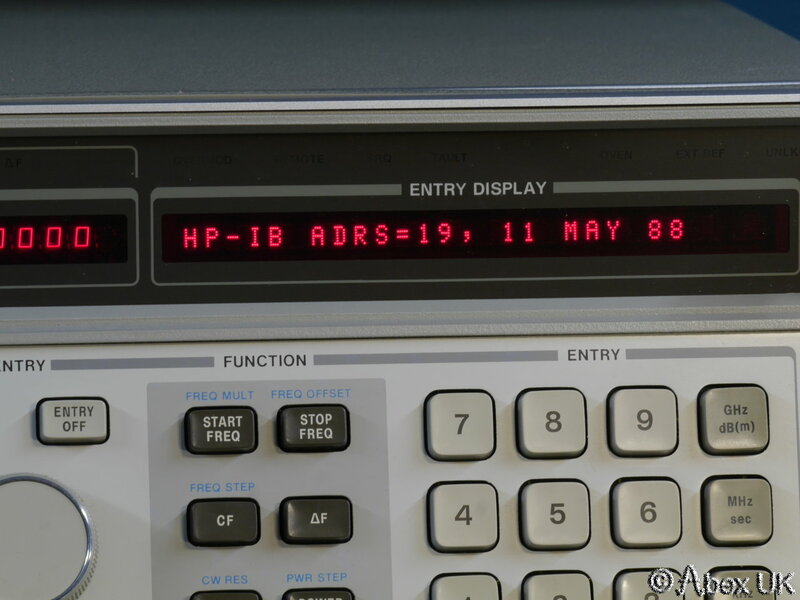 8757, 8510, 6500 etc. 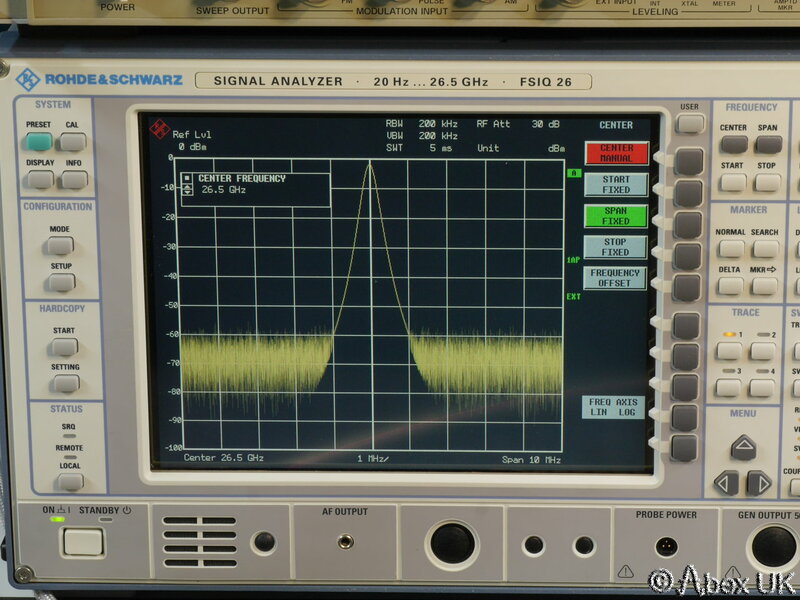 Versatile and dynamic remote programming, signal levels from +15dBm (frequency dependant) down to -20dBm. 3.5mm male RF connection on rear panel. 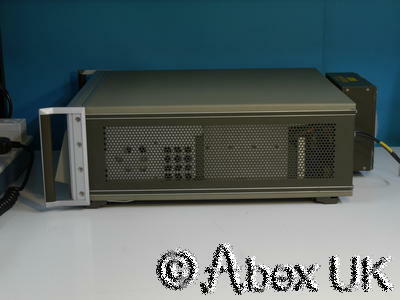 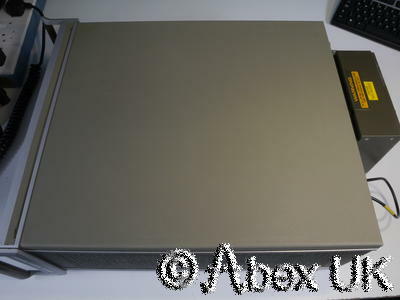 This unit is in almost pristine cosmetic condition and fully functional as shown below.